I've stayed in a good many Venice hotels as a paying customer, and on these pages you'll find my detailed reviews of the best. 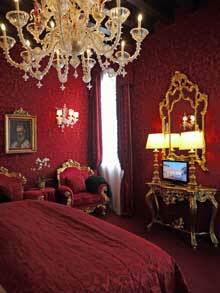 Some are simply decent budget options - good for their price range - while others are really special places to stay, with Grand Canal views and maybe the odd chandelier or two. I've chosen to stay in a wide range of places, both in terms of price and style. Some visitors may prefer smart modern design and international standards of service, others like a smaller, more intimate vibe with a traditional Venetian feel. I've stayed in the hotels over a period of several years. I'd always recommend travellers check the brief up-to-date guest reviews provided on booking websites (links provided below) as well, just in case of any major changes. > Bed and breakfast - B&Bs are increasingly a good, affordable option with more character than many hotels. 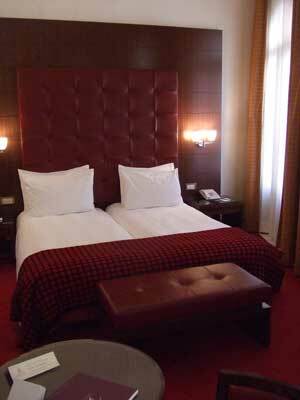 Hotel L'Orologio **** - a classy modern hotel on the Grand Canal close to the Rialto bridge and markets. 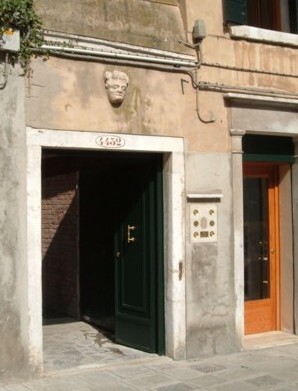 Ca' San Giorgio - a hidden-away gem of a B&B close to the Grand Canal. 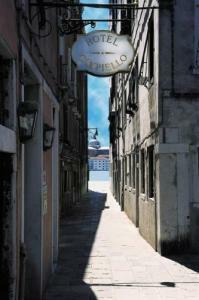 Hotel Palazzo Giovanelli e Gran Canal **** - another newish Grand Canal , next to the ferry stop at San Stae. 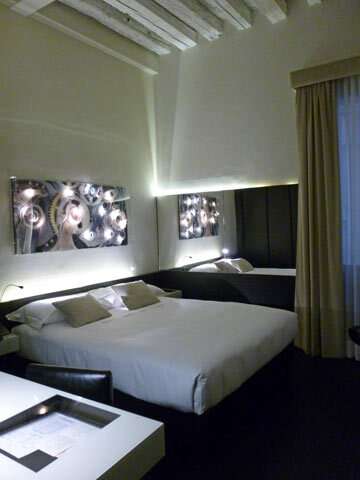 Ca Maria Adele - the most luxurious place I've stayed in; a stylish and intimate boutique hotel by the Salute church. 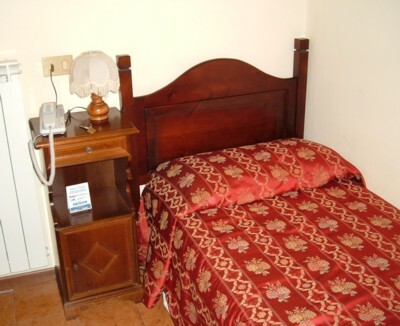 Palace Bonvecchiati **** - a smart and contemporary four-star hotel in an excellent central location for tourists. 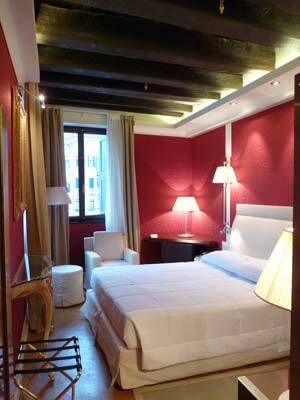 Hotel Campiello *** - a small and elegant three-star hotel near St. Mark's and the Riva degli Schiavoni waterfront. La Locandiera *** - in a very similar location, the Locandiera offers simple but attractive accommodation in a quiet little square. 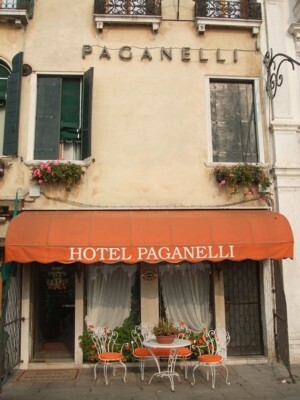 Hotel Paganelli *** - a slightly cramped three-star with a picturesque (if busy) location on Riva degli Schiavoni, looking over the water to San Giorgio Maggiore. 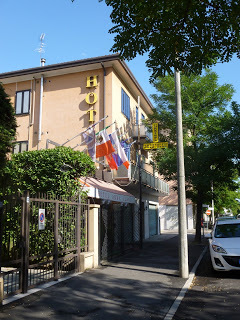 Hotel Tivoli ** - a relatively cheap hotel in the arty, studenty area of Dorsoduro. 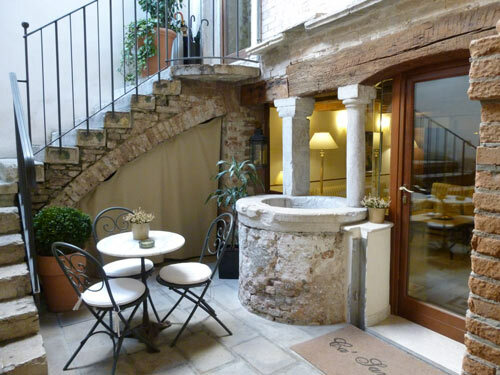 Hotel Amba Alagi, Marghera * - a decent and truly budget option - with the big compromise of being in the mainland suburb, Marghera, a bus/tram ride from Venice.